*Children five years or under receive free entry into the event, but this does not include Vitality points, a T-shirt, a race pack or a finish time. **Those who have entered the Discovery Triathlon World Cup Cape Town (triathlon or duathlon event) qualify for a discounted Retro Run entry fee. To take advantage of this discount, log in to your registration profile and add the Retro Run to your cart. What is the Discovery Retro Run? It’s for the avid runner, the social runner, and even the haven’t-run-yet runner. The Discovery Retro Run is the coolest new run in Cape Town powered by KFM 94.5. Get your groove on and get ready to be retro with Discovery. Choose to run a 5 km race or take on the challenge of an 8 km – both are timed races. 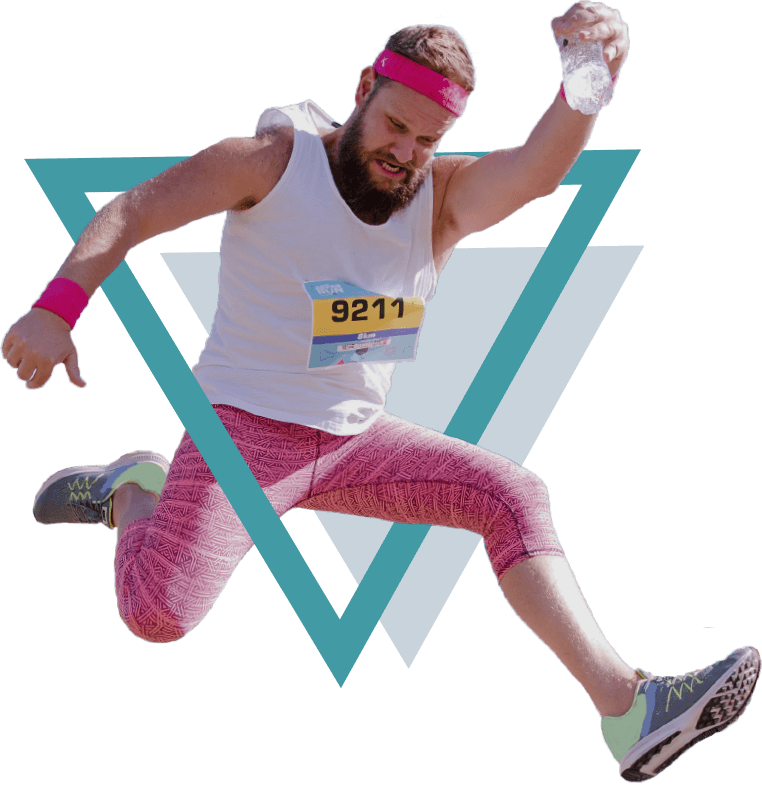 Lace up, get your bobby socks on, and run for real or run for fun. Once you’ve felt the burn, you’ll get to hang out and party with KFM’s DJs and personalities at our after-party – a not-to-miss event! When is the Discovery Retro Run? The Discovery Retro Run will take place on Saturday, 9 February 2019. The Run will start and finish at Cape Town Stadium Forecourt, with the first wave of 8 km runners taking off at 17:30 and the second wave of 5 km runners taking off shortly after. 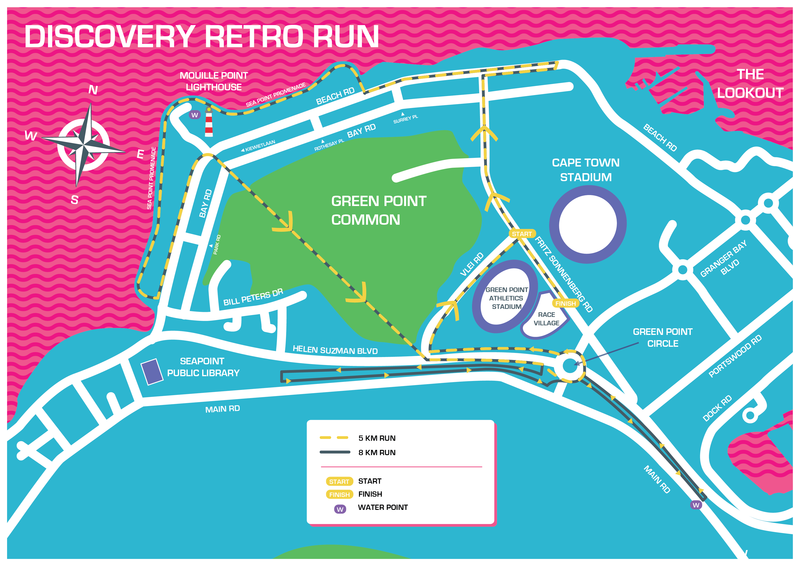 The Discovery Retro Run will start and finish at the Cape Town Stadium Forecourt. Is the Discovery Retro Run open to people of all ages? And are strollers allowed? People of all ages are welcome to take part and the route is stroller friendly. Children under the age of five are free to take part but they will not receive Vitality points, a race pack and T-shirt. Please keep in mind that any mass-participation event involves crowds, so please make sure children are always under adult supervision. The event organisers will accept no liability in the case of any lost or injured children. Do I have to qualify for the Discovery Retro Run? You do not need to take part in any qualifying races before the Retro Run. You also do not need a temporary license. Yes, the Discovery Retro Run will be a timed event to make sure all Vitality members get points for taking part. Provisional results will be available on our website after the race and you’ll also receive an SMS with your finish time. Do I receive Vitality Points for taking part? Yes! The table below shows the number of points for each category. *Children five years or under receive a free entry into the event, but this does not include Vitality points, a T-shirt, a race pack or a finish time. **Those who have entered the Discovery Triathlon World Cup Cape Town (triathlon or duathlon event) qualify for a reduced Retro Run entry fee. Do I need to buy a day licence if I am not a member of Western Province Athletics (WPA)? As the Retro Run is not a WPA-sanctioned event, a day licence is not required. Can we use cameras during the run? Of course! We’re all about capturing and sharing great moments with friends, so bring your cameras, snap away and don’t forget to use the official hashtags and upload your pics to social media. Just remember to consider other runners when stopping, so please step aside when you snap away. Please look after your possessions as we can’t be held responsible for any lost items. Please note that any unauthorised professional video or still footage is not allowed without the express permission of the event organisers. Can dogs or other pets participate? Sorry, no pooches or other pets allowed at the event. I know it’s a non-competitive run but is there a finisher medal or certificate? What about other prizes? For sure! All finishers will receive a Discovery Retro Run finisher’s gift once they’ve crossed the finish line. All results will be published online in your respective age category. There will, however, be no podium ceremony after the event. What if I’m injured during the event or otherwise unable to finish? There will be medics on the race route as well as in the race village who will be able to assist with any injuries sustained during the run. We do not give refunds for non-completion of the run. I’m keen to be involved as a Volunteer, how can I do this? First off, thank you! Please email your details to info@discoveryretrorun.co.za to let us know that you’re interested in volunteering at the Discovery Retro Run and we will help you through the process. Sure you can. There’s no pressure at all other than for you to have fun. Where can I find the professional photos of me taken on the route? Use your race number to help find the groovy photos of you taken on route. Where can I find my 2018 finish time? How do I register for the Discovery Retro Run and what happens next? You can register online by clicking HERE and pay the registration fees by credit card or EFT. 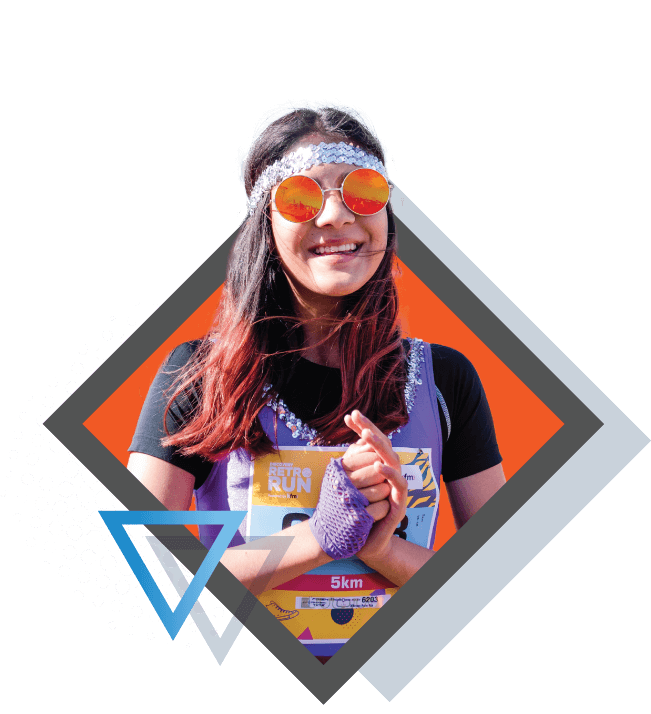 Once you’ve successfully registered, you’ll receive confirmation of your registration and receipt from the registration provider on behalf of the Discovery Retro Run. I did not receive any email response after registering. Why is this? There are a number of possible reasons why this may have happened: 1) Your registration wasn’t successful. Please try again. 2) There was a typo in your email address during registration, so the confirmation email was not sent to the correct email address. 3) The email was blocked by your email server or has been treated as spam. Please check your junk mail folder. If you’re still unsure about your entry status, you can log in to your profile again to view your payment status. What’s included with my registration fee? An entry to the second Discovery Retro Run! You’ll also receive an official event T-shirt, timing and results for both the 5 km and 8 km run, a finisher’s gift, bonus Vitality points and access to a music concert after the run. Entries close at midnight on Thursday, 31 January 2019 or when race capacity has been reached. Once entries have closed, you may ask to be placed on a waiting list. If there are cancellations for your chosen event, you will get an entry. Can I transfer my registration to another person? How do I do this? Registration transfer is possible up until 23:59 on 14 January 2019 at no additional cost. After that, no transfers will be allowed. Once I’ve registered, where do I collect my race pack? Please note: Collection venues and times are subject to change. Any changes will be communicated to all athletes closer to the event date. What happens if I can’t personally make it to collect my Event Pack? Proof of their own ID. Will there be safe parking? We suggest that you park at the Lookout, at the V&A Waterfront or on Somerset Road. Please send an email to info@discoveryretrorun.co.za or call 021 426 5775. See our Rules and Regulations.